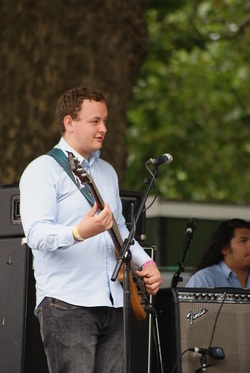 Pete Torrington, 20, a freelance guitarist currently studying the Popular Music Performance degree course at the prestigious Academy Of Contemporary Music in Guildford. With over 10 years worth of experience i enjoy playing a variety of different styles on both the electric and acoustic guitar. 19 years old, met Tyler at school when we were 11. Known as our school's percussionist we played in lots of gigs and concerts there, now studying music at Trinity Laban, Greenwich. "An improviser, performer, educator and just about every other thing inbetween. Jonathan is known for using his passion in performing to fuel his lifestyle of musical decadence. More recently though, he could be found struggling to get bunches of kids under control at music workshops which he conducts across London. Recent stints include the Bath International Music Festival and SQUADRON Festival at Bishopsgate Institute, London. He has also recently completed a series of recordings at Abbey Road Studios with his beloved folk ensemble, and is thrilled to be back onstage again with Tyler Rix, having first got together for the London Jazz Festival 2008. 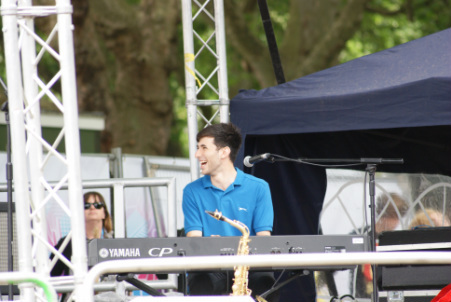 Jacob is a keyboard player, bass player, percussionist, singer and composer from London, born in 1994, currently studying for his A-levels at the Purcell School. He has a passion for music, and an eclectic taste, ranging from jazz, funk and dubstep to folk, contemporary classical and improvisation. 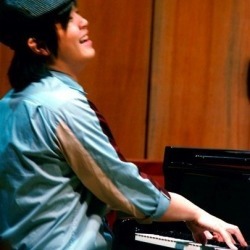 He plays in a number of jazz and folk groups around the country and has enjoyed many opportunities to perform. He is also an actor, and played the part of Tiny Tim in the Hallmark film, “A Christmas Carol”. He has performed in Spain, Italy, LA, the London Coliseum, The Royal Opera House and the National Theatre as an actor and singer in various productions, including Mozart’s The Magic Flute and Benjamin Britten’s The Turn Of the Screw, and was awarded the ABRSM Gold Medal for the highest Grade 8 mark in the country for his Grade 8 Singing. Jacob met Tyler and the quartet when he was called by a friend one afternoon to ask if he was free to play in the jazz concert at Dame Alice Owen's School that evening. Jacob embraced the challenge, and has since joined Tyler’s quartet and contributed to number of concerts over the past year. I'm 19 years old and have been playing music since the age of 4. I have passed my Grade 8 in Drum Kit and Grade 8 with distinction in Orchestral Percussion. I studied at Junior Guildhall since the age of 10 and performed with their various ensembles and orchestras in numerous venues including Royal Festival Hall, Royal Albert Hall, Regents Hall and St John's Smith Square. In the summer of 2009 I won the Junior Guildhall Lutine Prize, which included a concerto performance at St John's Smith Square in the summer of 2010. I also play the piano. I am currently at University of Surrey completing a degree in Creative Music Technology. I achieved 3 A grades and 1 B in my A-Levels, in Music technology, Maths, Chemistry and Physics. After my degree I would like to work as either a music producer/engineer, conductor, composer for musical theatre, session drummer/percussionist or teacher. I met Tyler whilst studying at Junior Guildhall, and we have known each other for a number of years. Together we have performed in fantastic places such as Trafalgar Square, Regents Park and House of Lords and I am looking forward to many more great gigs! 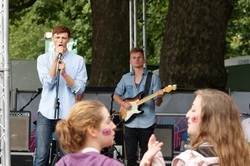 Jack, 20, is studying at Trinity Laban, Greenwich, renowned as being one of the best bass players around. 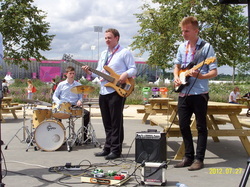 He first joined the Tyler Rix Quartet at the beginning of 2012 for the DLA Piper event and has played on every gig since. I joined The Tyler Rix Quartet after meeting up with Tyler at our school, Dame Alice Owen's in Hertfordshire when playing in Soul Band. We've played in school and charity concerts together, and I really got involved big time when my improvising skills were called upon .... some great gigs...! I'm 20, studying at the Royal College of Music and looking forward to a career in music.